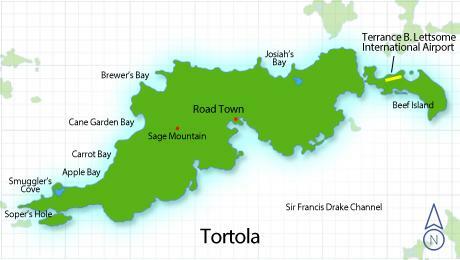 Toltola is the largest of the British Virgin Islands in the Caribbean. It features several white-sand beaches, including Cane Garden Bay and Smuggler’s Cove. Road Town, the capital of the British Virgin Islands, has a harbor dotted with sailing boats and is known as a yachting hub. In the island’s southwest, forested Sage Mountain National Park offers trails and sweeping views over neighboring cays.